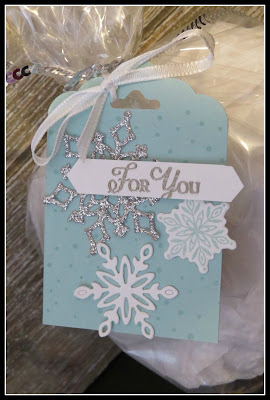 Karina's Kreations: Stampin'Up Snow is Glistening stamp set! 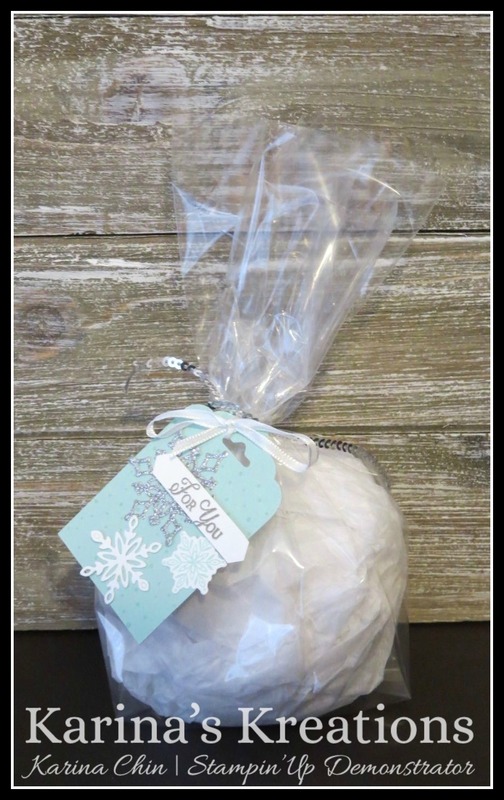 Stampin'Up Snow is Glistening stamp set! 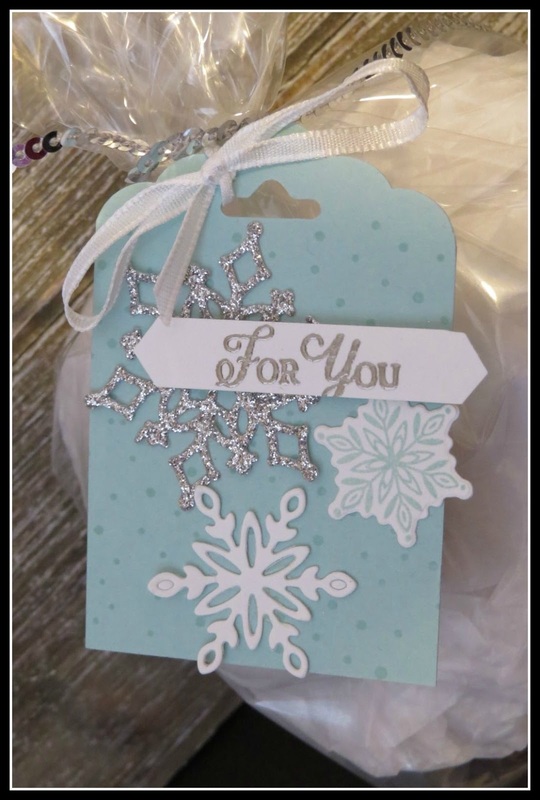 Create beautiful packaging with the Snow is Glistening stamp set and Snowfall Thinlit Dies. These items are available until Nov 30 or while supplies last. I'm off to Stampin'Up Onstage in Orlando today and this is my roommate gift. Isn't the tag pretty. I'll post cards daily while I'm gone and on facebook directly from Orlando. This is the link to my facebook page if you want to follow along Karina's Facebook page. 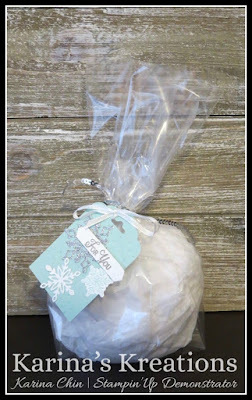 OR, here's the link to Karinas Kreations but I have to approve you for this group. Karinaskreations closed group. Only paper crafters are approved for this group. Here's the supplies for my tag. Click on a picture below if you want to place an online order.